More Real Stylus kits arrive… our iPads love them! We keep our eye out for fun projects to get involved in. One we helped months ago had a payoff this last week. A team member came walking back from the mailroom with a stack of light blue boxes. Handing them out as he worked through the work area, we all could hear the “cool” ripple through as people opened their box. The packages where from the More/Real stylus project. 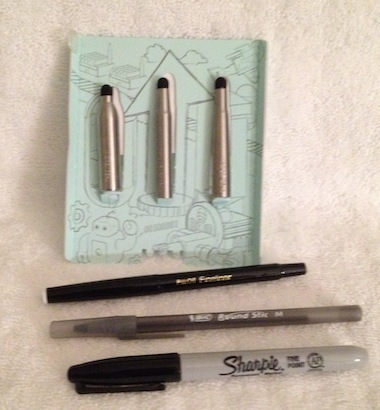 Each little box held three stylus caps and three different ink pens that the caps fit. The caps are metal with the soft rubber tip that moves across the iPad screens nicely. No bounce when you tap the stylus to the screen and no skipping as we write and draw. 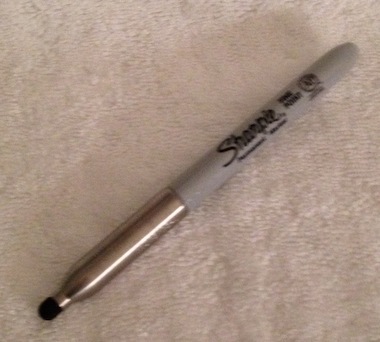 All three pens work great, but the larger one for the Sharpie is being seen the most around the office as the size works great with drawing apps like ArtStudio. The More/Real caps fit the pens like the regular cap that came with the pen fits. 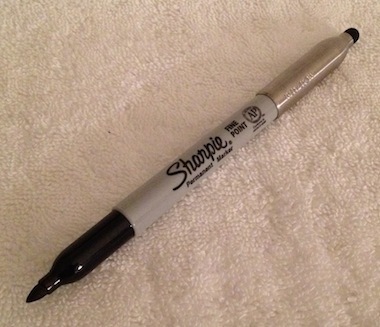 Which means we can put the cap on the other end of the pens when we need to use the ink tips. It is amazing how many iPad stylus/ink combo pens don’t allow that… we usually end up having to hold the stylus tip in our left hand as we write with the ink pen from our right hand… not a problem with the More/Real pen ends. The caps are not publicly available to purchase yet, but keep an eye on the More/Real Web site for an announcement when they do start to ship.